Select the button ‘Add’ – this will bring up a window displaying your computer. Select the image or images you want. From the image you can now see to the right, it should have now selected the images you want. Each new image you want to add you must click the ‘Add’ button. Click the ‘Upload’ button and the images will now be uploaded to the product and you can now move on editing this product, however for the product image to show on the website or any other changes you may have made to the product you MUST submit or save and continue. Simply pressing the upload button does not save the images without the usual method of saving data. The star icon indicates which image will show up as the priority. Trying to upload an image that is too big in file size or general size will not work, you will notice that the image is replaced with a cross icon. http://www.multipleimageresizer.net/ is an amazing tool that allows you to resize a bunch of images all in one go. 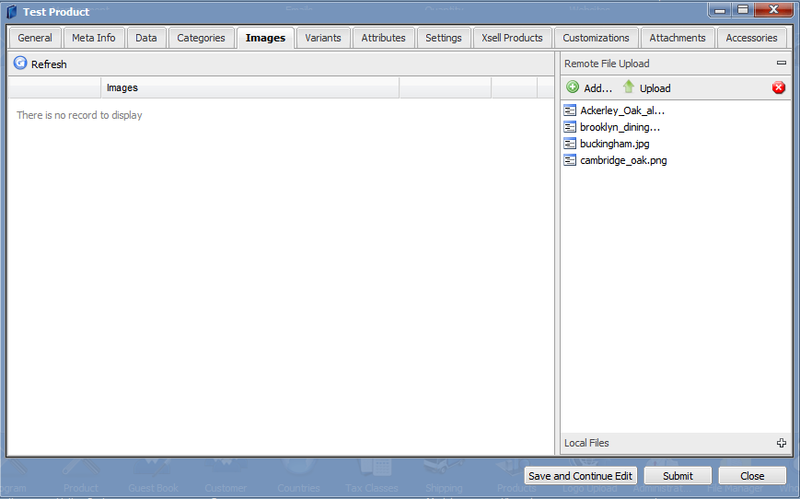 You can select the maximum size of images or dimensions saving you potentially hours of boring work!